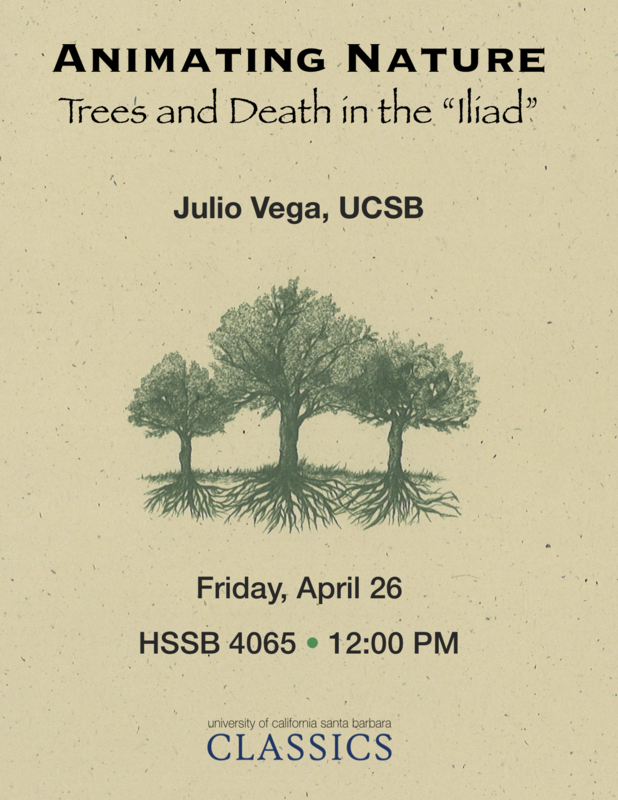 Vincent Shepherd graduated from UCSB in 2017 with a BA in Classics and History. He is currently a second-year law student at UC Irvine School of Law, where he serves as a staff editor for the UCI Law Review. 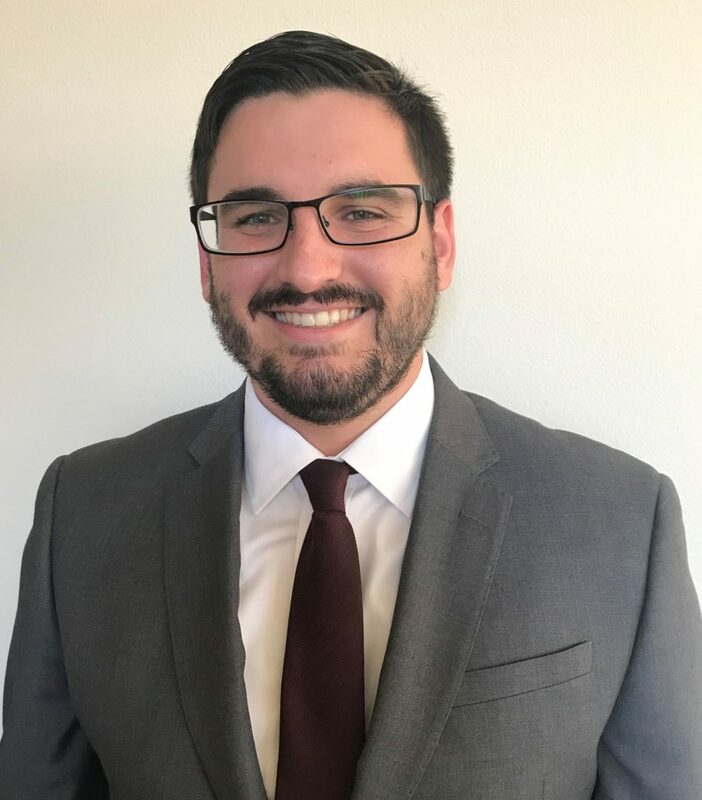 Vincent has externed at the US Bankruptcy Court in Riverside and will be a Summer Associate at Bryan Cave Leighton Paisner this summer. During a recent visit to campus, he reflected on how studying Classics has helped him succeed. How did you decide to pursue a career in law? I determined I wanted to go to law school during my sophomore year of undergrad. I was weighing career options at that time and I wanted to do something in which I could best apply my undergraduate majors in the professional world. Law school was the perfect option for me because it gave me the opportunity to apply many of the skills developed in undergrad towards a career with direct real-world impact. What aspect of Classics was most helpful during the application process? Studying Classics requires a lot of logical analysis and close reading. Latin in particular gave me some practice in detail-oriented analysis, which helped me on different portions of the LSAT. And now that you’re in law school? Studying Latin helped me develop the same skills used in legal analysis. When translating, you are asked analyze a passage and translate it according to the different grammatical rules. Likewise, when doing legal analysis, you have a set of rules which you are then asked to apply to a set of particular facts. Similar to how changing one letter in a sentence can yield a different translation, one minor change in a fact pattern can yield an entirely different conclusion. I think these analytical skills developed from studying Latin directly benefit me the most. How often do you encounter Latin these days? I might see Latin once or twice a week, depending on what classes I am taking. It helps to know what an antiquated legal doctrine translates to in order to understand what the law is, or how it got to what it is today. What advice would you give to Classics majors who are planning to apply to law school? Focus on your undergraduate studies and enjoy your Classics courses while you are in them. Grades are a large part of the application process. So, the more you engage in your studies, the better grades you will likely get, and the better you will likely do in the application process. The LSAT is the other major part of the application process, but you will have time to study that over summer, or when you are no longer in school if you take a gap year. Classics is a fun and interesting major. So, while you are in undergrad enjoy and engage in the material. What advice would you give to Classics majors who are thinking about law school but aren’t quite sure? If you are unsure whether being a lawyer is right for you, try a summer legal internship. This will give you some insights into what it’s like to be a lawyer and help you make that determination. Also, you do not need to rush into law school directly from undergrad. Many people take gap years before deciding to pursue a legal career. Take your time and think about if a legal career is right for you. However, as a Classics major, you are developing skills that will situate you for success in law school. Vincent is available to mentor UCSB Classics majors who are interested in law school. 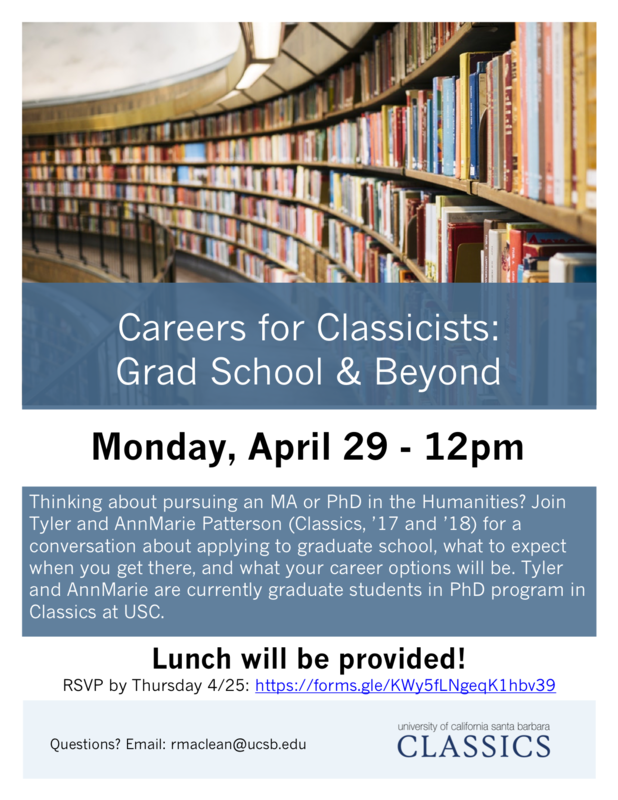 Please e-mail Prof. Rose MacLean (maclean@classics.ucsb.edu) for more information.